Analysis: Following the Chiefs' exit from the playoffs it was initially reported Berry may need surgery to address lingering heel pain, but general manager Brett Veach said earlier this month the safety didn't aggravate the injury. The veteran played in only three games this season -- including the playoffs -- due to the heel issue, so the fact no further procedures brightens his outlook for 2019. Analysis: Prior to the AFC Championship Game, Andie Hagemann of the NFL Network suggested that the pain in Berry's heel continues to linger and that the safety will likely need surgery to correct the issue. There's been no word of a specific timeline for his offseason, though, making it uncertain Berry will be available for the start of OTAs this spring. In any event, it's a positive development for all parties that Berry didn't seem to sustain any setbacks during Kansas City's playoff run. Analysis: This comes as no surprise, as it was reported earlier Sunday that Berry was expected to play. 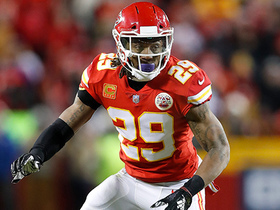 The veteran safety has suited up in only two games this season, but he nonetheless serves as a valuable presence in the Chiefs secondary for the AFC Championship Game. Berry (heel) is expected to suit up for Sunday's AFC Championship Game versus the Patriots, Tracy Wolfson of CBS Sports reports. Analysis: Berry has only played in two games -- both in the regular season -- this year, logging 99 defensive snaps and making 11 tackles. His return to the lineup will strengthen the Chiefs' secondary against a fierce Patriots passing attack led by Tom Brady. Although he'll start in Sunday's game, Berry's injury woes aren't over. According to Andie Hagemann of NFL.com, Berry will have his heel evaluated after the season and he'll likely need surgery. Berry (heel) does not carry an injury designation for Sunday's AFC Championship game against the Patriots, Adam Teicher of ESPN.com reports. Analysis: Berry sat out last week's divisional-round victory over Indianapolis along with the Chiefs' regular-season finale, but now appears ready to go. The 30-year-old has only played two games this season, so it remains to be seen whether he'll be subjected to a snap count Sunday. In any capacity, Berry's presence figures to bolster Kansas City's secondary against Tom Brady and the Patriots. Berry (heel) was a full participant at Wednesday's practice. Analysis: Berry was inactive for Saturday's divisional-round win over the Colts and also sat out the team's regular-season finale. The 30-year-old safety appears on track to return for this weekend's AFC Championship Game against the Patriots, but that is certainly subject to change given that he's played in only two games this season. Berry (heel) is officially listed as inactive for Saturday's AFC divisional-round game against the Colts, BJ Kissel of the Chiefs' official site reports. Analysis: Berry has had two weeks to recover from a heel injury, but will ultimately watch Saturday's game from the sidelines. Daniel Sorensen figures to replace him as the Chiefs' starting strong safety. The veteran defensive back will now hope the team can get a win so he can set his sights on a possible return next week. Hopes are not high that Berry (heel) will be able to play in Saturday's AFC divisional-round contest against the Colts, Adam Schefter of ESPN reports. Analysis: Berry was sidelined during the Chiefs' Week 17 season finale, so he has now had two weeks off to recover. Still, although he is listed as questionable, it is being reported that Kansas City is not optimistic he will be able to go. Should that ultimately come to fruition, Daniel Sorensen will presumably replace him at strong safety. Berry (heel) is questionable for Saturday's divisional-round playoff game against the Colts. Analysis: Berry was a non-participant in practice Wednesday and Thursday after having been limited Tuesday. Coach Andy Reid is non-committal about Berry's availability Saturday according to BJ Kissel of the Chiefs' official site, so the veteran safety's status could come down to a game-time decision. Daniel Sorensen would likely slot into the starting lineup if Berry were unable to go. Berry (heel) did not practice Wednesday. Analysis: After practicing on a limited basis Tuesday, Berry did not participate during Wednesday's session. It's conceivable that the veteran's absence was simply due to a rest day, but his status for Saturday's divisional-round tilt against the Colts is murky at best. Thursday's injury report will shed some light on Berry's chances of suiting up. Berry (heel) is inactive for Sunday's game against the Raiders, BJ Kissel of the Chiefs' official site reports. Analysis: Berry practiced in full until Friday when he was downgraded to a non-participant. The Chiefs would earn a first-round bye if they can beat the Raiders on Sunday, which would give the veteran safety some additional time to rest up. Berry (foot) is listed as questionable for Sunday's game against the Raiders. Analysis: Berry is nursing foot and calf injuries in his right leg. The veteran safety missed much of the season with a heel injury in the same leg, so it wouldn't be a surprise if the Chiefs were to elect to have Berry rest Week 17. Berry (foot) did not practice Friday due to foot and calf issues, Brooke Pryor of The Kansas City Star reports. Analysis: Berry is managing injuries to his right foot and calf, the same leg on which he had a heel injury that caused him to remain sidelined until Week 15, Nate Taylor of The Athletic reports. It seems probable that the Chiefs could elect to take a cautious approach to Berry's recovery and keep him sidelined for Sunday's tilt against the Raiders. 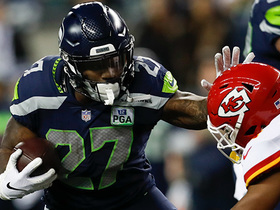 Head coach Andy Reid said Berry (undisclosed) didn't play in the final series of Sunday's game against the Seahawks because the safety had reached his predetermined snap count, Brooke Pryor of The Kansas City Star reports. Analysis: The Chiefs are being extra cautious with the 29-year-old, who is playing in just his second game since injuring his Achilles during Week 1 of the 2017 season. It can be safely assumed he'll be on a snap count next week as well, which slightly limits Berry's upside as an IDP prospect in Week 17. Berry (undisclosed) was not on the field for the Chiefs' final defensive series during Sunday's loss to the Seahawks, Brooke Pryor of The Kansas City Star reports. Analysis: This isn't a good sign for Berry, who was playing in just his second game since injuring his heel during Week 1 of the 2017 season. With that said, it isn't certain that he suffered a setback with that particular injury, as there could be another explanation for Berry's absence during the game's conclusion. We should know more no later than Wednesday, when Kansas City will issue its first injury report of the week. 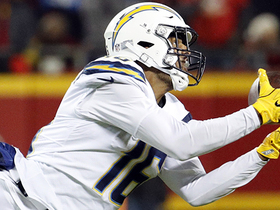 Berry (heel) didn't play in the second half of Thursday's loss to the Chargers, Adam Teicher of ESPN.com reports. Analysis: Berry thankfully didn't aggravate the heel injury that kept him sidelined to this point in the season, as the team planned on limiting his snaps from the get-go. "We came in with a plan and we just stuck with it," Berry said. "We didn't want to push it past that." The 29-year-old produced six tackles (four solo) on 30 defensive snaps and may continue to split time at strong safety with Daniel Sorensen as he is eased back into the fold defensively. Berry (heel) is listed as active for Thursday's game against the Chargers, Adam Teicher of ESPN.com reports. Analysis: Berry will officially take the field for the first time since tearing his Achilles during Week 1 of the 2017 season, though he's expected to be on a pitch count as the Chiefs ease the safety back into action. With Berry unlikely to receive a full workload of snaps, Daniel Sorensen and Eric Murray could see additional reps next to Ron Parker. Berry (heel) is expected to start against the Chargers on Thursday and will be on a pitch count, Ian Rapoport of NFL Network reports. Analysis: Berry appears on track to take the field for the first time since Week 1 of the 2017 season. The standout safety will likely take it slow as he continues to manage his recovery from Achilles and heel injuries, and he'll work to prove he's returned to full health during Thursday's tilt against the Chargers. Eric Murray will serve as Berry's primary backup. Berry (heel) is listed as questionable for Thursday's matchup with the Chargers. Analysis: Berry practiced in a limited fashion each day this week. Coach Andy Reid said Monday that "there's a chance" that Berry could play Thursday. If Berry does play, it would be the first time since Week 1 of the 2017 season. If Berry doesn't play, Eric Murray will likely remain in his increased role against the Chargers. Chiefs' head coach Andy Reid said "there's a chance" that Berry (heel) plays in Thursday's game against the Chargers, BJ Kissel of the Chiefs' official site reports..
Berry (heel) is inactive for Sunday's game against the Ravens, Adam Teicher of ESPN.com reports. 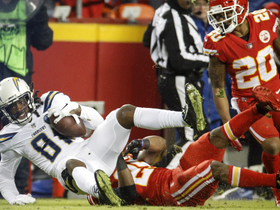 Analysis: Per Adam Schefter of ESPN, the Chiefs are eyeing their Thursday night game in Week 15 against the Chargers for Berry's season debut. If the star safety is to gain clearance for that contest, he may need to step up his activity in practice beforehand. Berry has taken part in each of the Chiefs' six sessions over the past two weeks, but he hasn't advanced beyond limited participation. Berry (heel), who is listed as questionable for Sunday's game against the Ravens, isn't expected to play, Adam Schefter of ESPN reports. Analysis: Berry has been practicing for the last two weeks, but only in limited fashion. Fortunately, it sounds like the safety has experienced no setbacks with his surgically repaired right Achilles' tendon since that time, so his return could be on the horizon. Schefter notes that the Chiefs are preparing Berry to play Week 15 against the Chargers on Thursday night if all goes well in the sessions leading up to that contest. Berry (heel) is listed as questionable for Sunday's game against the Ravens, BJ Kissel of the Chiefs' official site reports. Analysis: Berry logged three limited practices for the second straight week, but the Chiefs may want to see him upgrade to full work before clearing him for his season debut. His fate will officially be known approximately 90 minutes before the 1 PM ET kickoff, when the Chiefs will release their inactive list. Ron Parker, Eric Murray and Daniel Sorensen have been serving as Kansas City's primary safeties this season while Berry has been sidelined. Berry (heel) was a limited participant in Wednesday's practice. Analysis: Last week, Berry resumed practicing for the first time since the regular season opened and has now logged four straight limited sessions. The safety seems to have avoided any setbacks with his heel coming out of those sessions, but he'll likely need to advance to full activity before gaining clearance for his 2018 debut. His availability for Sunday's game against the Ravens remains murky at best. Berry (heel) is officially listed as inactive for Sunday's game against the Raiders, BJ Kissel of the Chiefs' official site reports. Analysis: As expected, Berry will not suit up against the Raiders on Sunday. The former All-Pro will set his sights on Kansas City's tilt against the Ravens in Week 14 as a target to make his 2018 debut. Berry (heel), who is listed as questionable for Sunday's game against the Raiders, isn't expected to play, Ian Rapoport of NFL Network reports. Berry (heel) is officially listed as questionable for Sunday's game against the Raiders. Analysis: Berry practiced for the first time this season Wednesday, and he was a limited participant all week. It seems likely that the former All-Pro will need to fully return to practice before making his 2018 debut, but his questionable designation is still a notable step in the right direction, even if he ultimately remains sidelined Week 13. Berry (heel) participated in Wednesday's practice, BJ Kissel of the Chiefs' official site reports. Analysis: Berry finally returned to practice Wednesday, putting an end to his season-long absence. The former All-Pro's 2018 debut appears to be forthcoming, but he's still unlikely to be ready for Sunday's game against the Raiders. "We'll just see how he does," coach Andy Reid said according to Kissel. Berry's eventual return to the field should be a notable boost for Kansas City's defense, which gave up 54 points to the Rams in Week 11. Berry (heel) is likely to return to the practice field next week, Sam Mellinger of the Kansas City Star reports. Analysis: This is excellent news for the former All-Pro, who has yet to suit up this season. Coming off a game where the Chiefs' defense gave up 54 points to the Rams, Berry's return would be a welcomed one for the team. Berry is still unlikely to play in Week 13, but it's a matter of when, not if, he'll return this season. Berry (heel) is inactive for Monday's game against the Rams, BJ Kissel of the Chiefs' official site reports. Analysis: Berry was unable to practice again this week, so his lack of availability is no surprise. The star safety will remain sidelined as he continues to manage his recovery from a torn Achilles' tendon. It appears that Berry has a shot of making his 2018 debut against Oakland in Week 13 if he's able to return to practice beforehand. Berry (heel) who is listed as doubtful for Monday's game against the Rams, could be ready to play coming out of the Chiefs' Week 12 bye, Jason La Canfora of CBS Sports reports. Berry (heel) has been listed as doubtful for Monday's matchup with the Rams, BJ Kissel of the Chiefs' official site reports. Analysis: Berry will likely have to wait another week for a chance to make his season debut as he was unable to practice again this week. Assuming he ultimately gets ruled out, Ron Parker and Eric Murray will continue starting at safety. Berry (heel) is inactive for Sunday's game versus the Cardinals, BJ Kissel of the Chiefs' official site reports. Analysis: Berry was listed as doubtful Friday so this was expected. The veteran safety is still waiting for his season debut, so Ron Parker and Eric Murray will continue starting in his absence. Berry (heel) is listed as doubtful for Sunday's game against the Cardinals, BJ Kissel of the Chiefs' official site reports. Analysis: Berry still has yet to return to practice this season, and he seems very likely to miss Sunday's tilt against the Cardinals. Expect Ron Parker and Eric Murray to once again handle the majority of snaps at the safety position if Berry indeed remains sidelined. Berry (heel) is listed as inactive for Sunday's game against the Browns, BJ Kissel of Chiefs.com reports. Analysis: Berry is not quite ready to make his season debut, so Ron Parker and Eric Murray will continue to handle the duties at safety. Berry's next chance to return will come Week 10 against the Cardinals. Coach Andy Reid said Berry (heel) will be listed as doubtful for Sunday's game against the Bears, Nate Taylor of The Athletic reports. Analysis: Berry has yet to practice in even a limited fashion since the season started after suffering a setback with his surgically repaired right heel in August. Barring an unforeseen turnaround in his condition over the next two days, Berry will be sidelined for yet another game, paving the way for Ron Parker and Eric Murray to handle most of the snaps at the two safety spots. Analysis: Berry still has yet to participate in practice during the 2018 regular season. Despite reports that the Chiefs consider Berry day-to-day, the veteran safety seems to be a longshot for Sunday's matchup against the Browns. Owner Clark Hunt said that Berry (heel) is "literally day to day," Pete Sweeney of ArrowheadPride.com reports. Analysis: Berry was initially labeled day-to-day during the beginning of the 2018 regular season, but still has yet to return to practice. While it appears that the Chiefs still expect Berry to play during the season, a timeline for the star safety's return still remains undisclosed. Berry (heel) is inactive for Sunday's game versus the Broncos, BJ Kissel of the Chiefs' official site reports. Analysis: Berry's extended absence is likely frustrating for the Chiefs, but they have enough offensive support to allow him to miss some time. Berry will shift his focus to Week 9's game versus the Browns, and Jordan Lucas will continue starting at strong safety. Berry (heel) is listed as doubtful for Sunday's matchup against the Broncos, BJ Kissel of the Chiefs' official site reports. Analysis: Berry was unable to log his first practice of the 2018 season Wednesday or Thursday, and seems to be a long shot to play Sunday. The Tennessee product has yet to play in 2018 as well. Jordan Lucas will likely serve as the starting strong safety again Sunday. Berry (heel) is not practicing Thursday, Brooke Pryor of The Kansas City Star reports. Analysis: Berry has yet to practice during the 2018 regular season and should be considered a long shot to play in Sunday's game against the Broncos. Expect Jordan Lucas to serve as the Chiefs' starting strong safety once again in Week 8. Berry (heel) is inactive for Sunday's game against the Bengals, BJ Kissel of the Chiefs' official site reports. Analysis: Berry never had a real chance to make his season debut Week 7, having not yet returned to practice. Expect Eric Murray to suit up as Kansas City's starting strong safety. Berry (heel) is doubtful for Sunday's game against the Bengals. Analysis: Berry was unable to participate in practice at all this week, so he seems a long shot to make his season debut Week 7. Eric Murray should once again again serve as the Chiefs' starting strong safety. Berry (heel) is not practicing Thursday, Nate Taylor of The Athletic reports. Analysis: Berry has yet to practice this week, so it seems unlikely that the star safety will make his season debut during Sunday's game against the Bengals. Expect Eric Murray to slot back into the starting lineup for the Chiefs at strong safety. Berry (heel) is inactive for Sunday's game against the Patriots, Adam Teicher of ESPN.com reports. Analysis: Berry has yet to debut this season while nursing the heel injury. With Eric Murray (lower leg) also inactive, Josh Shaw should see plenty of reps.
Berry (heel) is listed as doubtful for Sunday's game against the Patriots, BJ Kissel of the Chiefs' official site reports. Analysis: Berry is on track to be sidelined for Week 6, as the defensive back is yet to make his 2018 debut while nursing a sore heel. With Eric Murray (lower leg) already ruled out, the Chiefs will have to turn to either Josh Shaw or Jordan Lucas to start at strong safety against New England. Berry (heel) did not practice Thursday. Analysis: Berry has been dealing with a sore heel since before the regular season began, and looks to be in danger of missing another game in Week 6. If Berry cannot go, expect Eric Murray to take over for the Chiefs at strong safety. Berry (heel) is listed as inactive for Sunday's game against the Jaguars, BJ Kissel of Chiefs.com reports. Analysis: Berry will once again be replaced in the starting lineup by Eric Murray, as the former has yet to return to full activity in practice. Berry (heel) is considered doubtful for Sunday's game against the Jaguars, NFL Network's James Palmer reports. Analysis: Berry's lengthy absence could extend even further after failing to participate in practice heading into Week 5, so Eric Murray might be in line to draw another start at strong safety next to FS Ron Parker. Berry (heel) was absent from practice Thursday, Brooke Pryor of The Kansas City Star reports. Analysis: The fact that Berry has yet to see the field this season makes this news hardly a surprise. His injury was originally deemed week-to-week but has turned into a lengthy absence. There is no evidence to suggest when Berry could return to the field, and this news doesn't bode well for his Week 5 availability. Berry (heel) is inactive for Monday's game against the Broncos, BJ Kissel of the Chiefs' official site reports. Analysis: Berry's inactive status hardly comes as a surprise given his doubtful designation heading into the weekend. What was originally deemed a week-to-week injury at the start of the season has turned into a prolonged absence. It's tough to predict when Berry will be ready to take the field again, given the murkiness of his situation. Berry's practice report remains the best source of speculation leading into Week 5. As for now, Eric Murray looks to be the guy at safety. Berry (heel) is considered doubtful for Monday's contest against Denver, Matt McMullen of the team's official site reports. Analysis: Berry hasn't quite been able to shake the heel injury in the early going and he has yet to play a game in 2018. The doubtful designation comes after sitting out practice this week. Barring any unforeseen developments, a Berry-Chiefs reunion will have to wait until at least Week 5 for the moment. Eric Murray should be the guy at strong safety again against Denver. Berry (heel) did not participate in Thursday's practice, Nate Taylor of The Athletic reports. Analysis: That fact that Berry still hasn't been able to return to practice this week does not bode well for his Week 4 status. Fortunately for the Chiefs, they are operating on a long week since they don't play until Monday in Denver. However, given that the defensive back hasn't practiced in well over a month, chances are Berry will be held out for yet another week. Berry (heel) is inactive Sunday against the 49ers, BJ Kissel of the Chiefs' official site reports. Analysis: Berry was a long shot to suit up after he failed to take the practice field all week and entered Sunday's matchup with a "doubtful" tag. In Berry's stead, look for Ron Parker and Eric Murray to serve as the starting safeties in a shaky Kansas City secondary. Berry (heel) is doubtful to play in Sunday's game against the 49ers, Brooke Pryor of The Kansas City Star reports. Analysis: Berry hasn't practiced in weeks as he works his way back from an unspecified heel injury. Unless he's surprisingly given the green light to play Sunday, look for the Chiefs to continue starting Eric Murray and Ron Parker at safety. Berry (heel) didn't participate in Wednesday's practice, Adam Teicher of ESPN.com reports. Analysis: Berry has yet to practice since the regular season began, but the Chiefs haven't reported that he's experienced any setbacks in his recovery from a torn Achilles' tendon. Until the safety puts in a full practice or two, however, it seems unlikely that he'll be cleared to make his season debut. With Berry trending toward another absence Sunday against the 49ers, Eric Murray and Ron Parker look poised to serve as the team's starting safety tandem. Berry (heel) is inactive for Sunday's game against the Steelers, Adam Teicher of ESPN.com reports. Analysis: Berry never had much hope of suiting up in the Chiefs' second game of the season after failing to practice all week and carrying a doubtful designation into the contest. 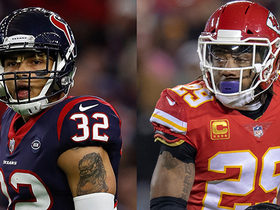 With Berry out of commission, Eric Murray and Ron Parker are expected to serve as the Chiefs' starting safety tandem. Both tallied nine tackles apiece in the season-opening win over the Chargers and could continue to deliver IDP utility while Berry is sidelined. Berry (heel) has been listed as doubtful for Sunday's game against the Steelers, BJ Kissel of the Chiefs' official site reports. Analysis: Berry seems to be progressing in his recovery from a torn Achilles, but he isn't ready to suit up yet. Eric Murray will continue to serve as the Chiefs' starting strong safety until Berry is healthy. Berry (heel) won't take part in Wednesday's practice session, but Chiefs' coach Andy Reid noted that he's, "making progress," BJ Kissel of the Chiefs' official site reports. Analysis: Berry missed the Chiefs' Week 1 contest as he continues to battle a sore heel likely related to the torn Achilles suffered in 2018. His marked progress is certainly a positive sign, though no word on a potential return date has surfaced yet. Berry (heel) won't play Sunday against the Chargers, BJ Kissel of the Chiefs' official site reports. Analysis: Berry was originally listed as doubtful, so this affirms he's unavailable. As such, Eric Murray is expected to slot in as the Chiefs' starting strong safety with Ron Parker at free safety. Berry (heel) is listed as doubtful for Sunday's game against the Chargers, Adam Teicher of ESPN.com reports. Analysis: Head coach Andy Reid reinforced Berry's doubtful tag Friday, saying that the cornerback "probably won't" play in the season opener. Berry has been nursing the heel injury since mid-August, and while it remains unclear what the ailment stems from, the defensive back will need at least another week off to continue his recovery. Berry (heel) was a non-participant in practice Wednesday, Brooke Pryor of The Kansas City Star reports. Analysis: Coach Andy Reid labeled Berry "day-to-day" Monday, so the Chiefs could simply be taking a cautious approach to the star safety's recovery as the regular-season opener approaches. It remains unclear if Berry's heel soreness is related to the Achilles injury that cost him nearly the entire 2017 season. The veteran seems likely to return in the near future, but it remains to be seen whether Berry will suit up against the Chargers on Sunday. Coach Andy Reid on Monday labeled Berry "day-to-day" as he recovers from a sore heel, BJ Kissel of the Chiefs' official site reports. Analysis: It's certainly a positive sign that Berry isn't facing an extended absence after missing nearly all of 2017 with a torn Achilles, but he will likely be worked back slowly to avoid further complications. It remains to be seen if he will be available for the regular-season opener Sunday against the Chargers. Berry (heel) will not dress for Friday's preseason game against the Falcons, Nate Taylor of The Athletic Kansas City reports. Analysis: It's unclear if the heel soreness Berry is experiencing relates to his Achilles injury from a season ago, but the team already knows he can play and has little incentive to rush him back to action. Berry's next opportunity to dress arrives next Saturday against the Bears, while Eric Murray and Leon McQuay are candidates for additional playing time in his absence. Berry didn't practice Sunday due to a heel injury, Brooke Pryor of The Kansas City Star reports. Analysis: The team hasn't expressed much concern about Berry's heel soreness and was likely holding him out for precautionary reasons. Look for Eric Murray and Robert Golden to get some run with the first-team defense while Berry is out. Berry (Achilles) has returned to full participation in practice, The Athletic reports. Analysis: Berry was present for the beginning of offseason workouts and has now progressed to full participation in drills. It remains to be seen how effective he will be in his return from an injury that can have a major impact on explosiveness. Regardless, the veteran should serve as a quarterback in the secondary and has a history of recovering from major setbacks after battling his way back from Hodgkin's Lymphoma earlier in his career. Berry (Achilles) was present for the beginning of offseason workouts, Terez A. Paylor of The Kansas City Star reports. Analysis: Berry's appearance at the team's offseason workouts indicates the safety is closing in on a complete recovery from the ruptured Achilles' tendon that derailed his 2017 season. Those close to the team will likely monitor every step and breath Berry takes, but with nearly five months to go before the regular season kicks off, it appears Berry is finally getting his feet back underneath him. Berry (Achilles) should be back for the beginning of the 2018 season, Adam Teicher of ESPN reports. Analysis: Berry ruptured his Achilles against the Patriots in Week 1 last season but is already back running drills on the field, as a video posted by his agent Chad Speck shows. Barring any setbacks, the veteran safety should be available for OTAs this spring. Head coach Andy Reid said Berry (Achilles) is "doing well" in his rehabilitation. Analysis: Berry, who ruptured an Achilles tendon in the season opener, was initially slapped with a six-month timetable for recovery. Considering he went down in September, the three-time All-Pro safety seems likely to be available for OTAs in late April if he continues to maneuver through his rehab setback-free. 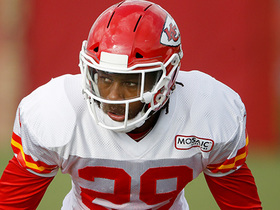 NFL Network Insider Ian Rapoport has the latest on Kansas City Chiefs safety Eric Berry. 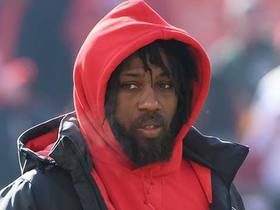 NFL Network Insider Ian Rapoport reports on Kansas City Chiefs safety Eric Berry expected to play Sunday. 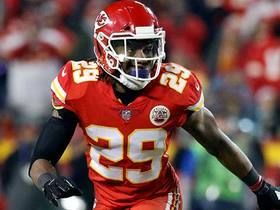 NFL Network's Jeffri Chadiha breaks down how the Seattle Seahawks can contain Kansas City Chiefs quarterback Patrick Mahomes and how safety Eric Berry impacts their defense. Los Angeles Chargers wide receiver Mike Williams catches a 38-yard pass from quarterback Philip Rivers. 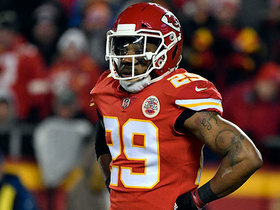 NFL Network Insider Ian Rapoport reports the latest on the availability of Kansas City Chiefs safety Eric Berry on Thursday night against the Los Angeles Chargers. 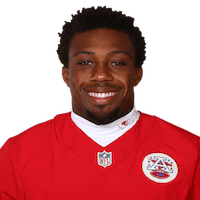 NFL Network's Omar Ruiz reports that Kansas City Chiefs defensive back Eric Berry might play in the Week 15 'Thursday Night Football' matchup against the Los Angeles Chargers.